In case you didn’t read last weeks post about PixelSquid, I thought I would entice you with a little composite I put together today. 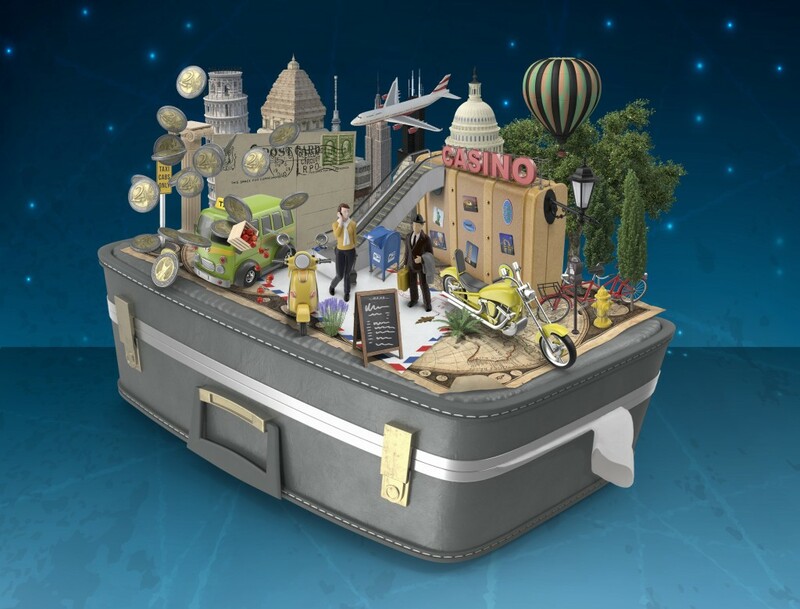 Everything is from PixelSquid except for the background. It is so easy to bring things in and manipulate them into place when you add the PixelSquid plug-in into Photoshop. 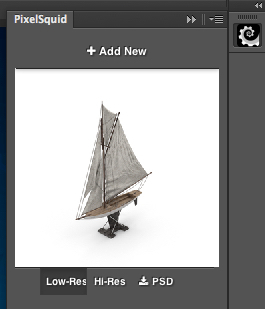 Couple of things to know about the plug-in… anything that you check to add to Photoshop will load into the Windows>Extension>PixelSquid library and hold up to one hundred objects in the Library at a time. Any new objects past one hundred picked will replace the oldest objects… so you can’t download all 4000 plus images into your library. What you can do as a way to get access to as many images as possible is download any and all of the images as either a .psd or a .png onto your harddrive. Even after the beta testing period is done, you will be able to go back to the website and download any new angles of that object for free. (since PixelSquid keeps track of what you downloaded and will keep giving you access.) Until I learned this, I was downloading every angle I could think of and it was killing my storage… but the objects were so good, that it was worth it. Now here is how I work with PixelSquid currently. 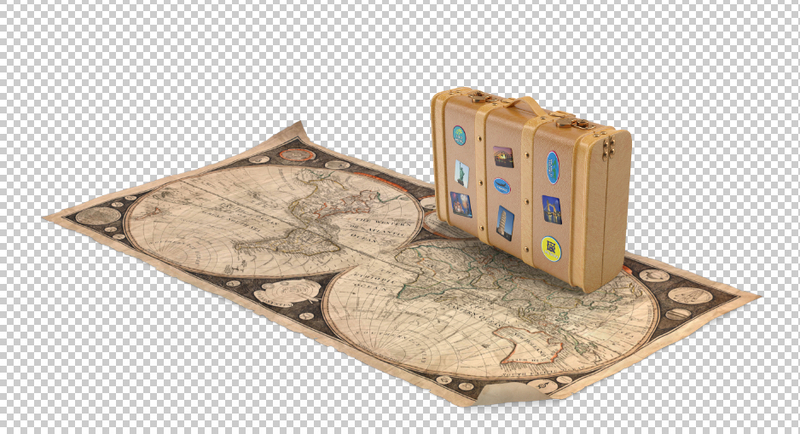 For this composite… I did a travel search and started with the suitcase and the map as the base, and then built everything up from there. I went through the website and selected a bunch of items that I thought would work and checked the add to Photoshop for each one of them. 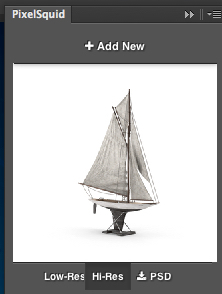 Then over in Photoshop and in the PixelSquid Library, I simply clicked on the item I wanted and it loaded into its own layer, and then kept the window open for me to rotate the image around to fit and then go from a low-res image to a high-res one or download a .psd. So getting your objects to fit and line up is really pretty easy. Now, if you find that an object needs a little more rotation or tweaking, simply Free Transform or use any of the other filters in Photoshop such as warp or puppet warp to help.